With the arrival of Zeppelin, the urban center features a place that is not an overpriced tourist trap. A slick combo of café-pastry and a souvenir shop, Café Zeppelin staked on “what you cannot find anywhere else” in high quality and nutritious version. Gifts, which you will unhesitatingly recommended to your friends from abroad, are mostly in folk tone directly from small Slovak producers. You will be served by nice staff and you can sit at our pleasant summer terrace! Delicious coffee is delivered by Costadoro and prepared perfectly and quickly. 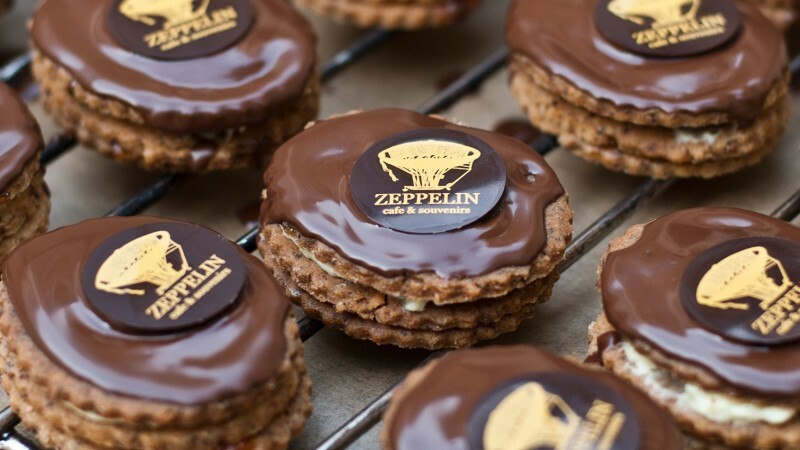 The biggest plus of Zeppelin, however, are cakes: home-made, juicy, sweet and salty, plus a couple of gluten-free ones, and the main star is Bratislava poppy rolls in all sorts of versions. Make sure to visit us!